If you plan on jailbreaking your iPhone 4S using the new greenpois0n Absinthe software, you better hurry because there's a chance jailbreaking smartphones could become illegal again in the United States. 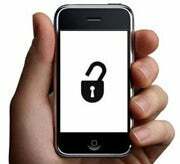 Two exemptions to the Digital Millennium Copyright Act that allow you to jailbreak and unlock your phone are set to expire in 2012. The Electronic Frontier Foundation, a digital rights group, is hoping to have both exemptions renewed. This time around, the foundation is also hoping to legalize jailbreaking for tablets and video game consoles such as the PlayStation 3 and Xbox 360. If the jailbreaking exemptions are not renewed, the foundation says, jailbreaking could carry some stiff penalties including hefty fines. To aid in its quest in maintaining and expanding jailbreaking, the foundation is calling on all jailbreak enthusiasts to submit comments to the U.S. Copyright Office. All comments are due by February 10 at 5 p.m. Eastern. Hacking into your smartphone to run unauthorized or modified software on the device has proven popular among iOS and Android users. 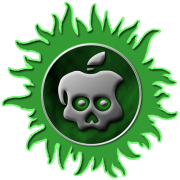 Apple fans typically jailbreak their device to run unapproved apps or add visual tweaks to their devices. Android users choose to root (the Android version of jailbreak) their devices to run modified versions of Google's Android mobile OS such as CyanogenMod. Some security experts argue that jailbreaking could expose users to greater threats from malware, but that worry hasn't stopped millions from taking full control of their mobile devices through jailbreaking and rooting. The hacker group Dev-Team recently said that nearly one million iPhone 4S and iPad 2 users jailbroke their devices in the first three days after a new a jailbreaking tool was released. Jailbreaking smartphones was legalized in the U.S. in 2010 after the Electronic Frontier Foundation won exemptions to the anti-circumvention provisions of the DMCA. The exemptions, granted by the Librarian of Congress during a rule making proceeding mandated by the DMCA, said that jailbreaking your phone so that it can run any software you choose was an example of fair use under U.S. copyright law. The 2010 ruling, which was technically a postponed ruling from 2009, also made it legal to unlock your phone's cellular radio so that your smartphone could function on any compatible network. At the time, manufacturers, including Apple, opposed the DMCA exemption. Apple argued that jailbreaking could affect a device's reliability and security as well as encourage users to download pirated software. It's not clear if any companies are actively opposing the foundation’s attempts to legalize jailbreaking this time around, but device manufacturers have been busy trying to prevent jailbreaking in recent months. It took hackers about 10 months, an unusually long time, of hard work to create a usable jailbreak tool for iOS devices equipped with Apple's dual-core A5 processor including the iPad 2 and iPhone 4S. Asus' recently released Transformer Prime Android tablet shipped with a locked bootloader, making it harder to root the device. A bootloader is a piece of code that starts up a device's operating system. Asus ultimately relented to user demands and plans to release an unlock tool for the Transformer Prime bootloader in February. But Asus also said that unlocking your device's bootloader would void your warranty. Sony has also been working to stop people from hacking into the PlayStation 3. In early 2011, hacker George Hotz along with several colleagues posted PS3 jailbreak tools online allowing anyone to open up their gaming consoles to unapproved software. Sony hit back demanding the hackers remove the software and then suing Hotz over the jailbreak. In the end, Hotz settled with Sony out of court. The Electronic Frontier Foundation in December called on Apple, Sony and other manufacturers to stop opposing jailbreaking.